Deanna's Corner » Blog Archive » November Zoo Day! The weather was mild and partly sunny, and the kids had a day off of school (thanks to Veterans Day falling on a Sunday, which meant it was observed on Monday). What do we do? Go to the zoo! Us and about half the preschool population of Seattle, I’d say. 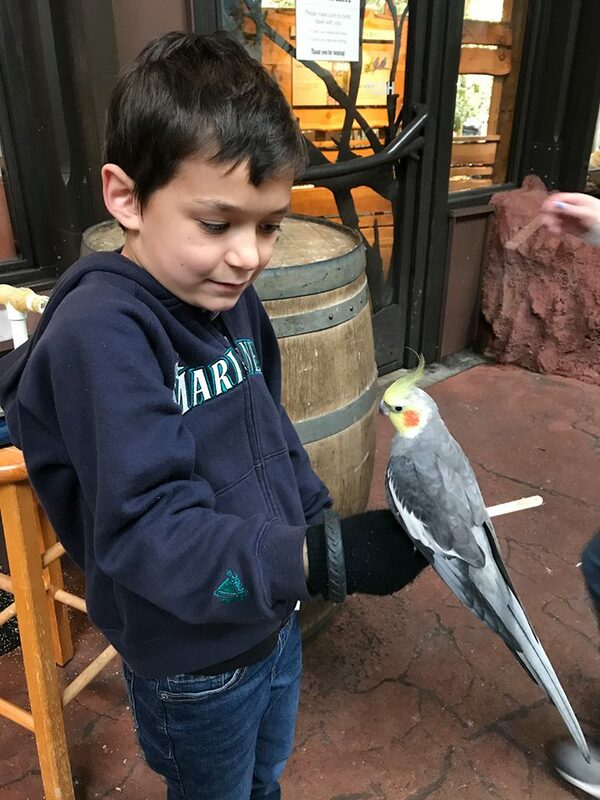 Ever since a class field trip to a different zoo, Rerun has been expressing an interest in birds. 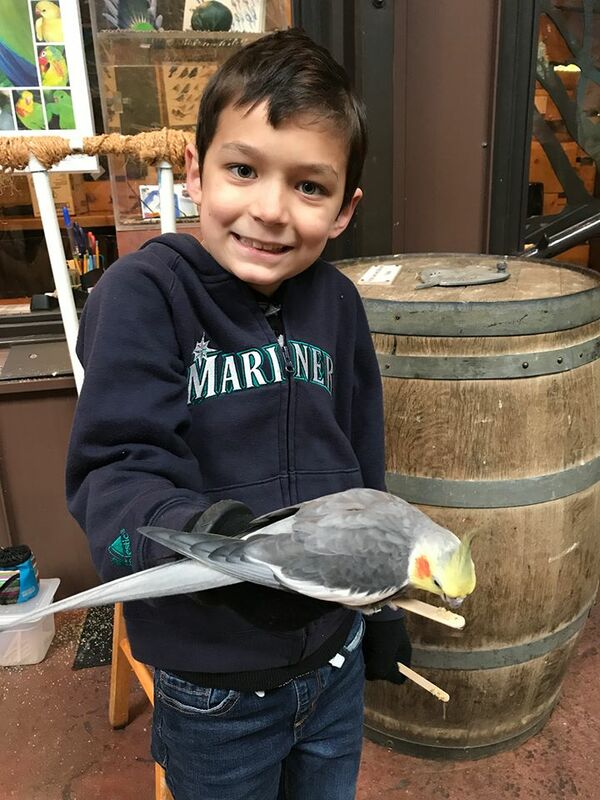 I suggested that maybe he would want to feed a bird at the zoo – something that we actually have never done, in all these years of being members. None of the other kids were that interested, so I took Rerun in by himself, while Ane walked around with Tad and Thumper. It was almost a little TOO exciting for Rerun, but I managed to keep him calm, and got him to keep still. And he was utterly fascinated with getting to feed this friendly cockatiel. He would have stayed in there for hours, if only I had kept buying him seed sticks. The birds only love you when you feed them, of course. It was definitely a fun experience, and the kids spent some time in the fresh air and sunshine… which was good because the rain is supposed to start again soon. 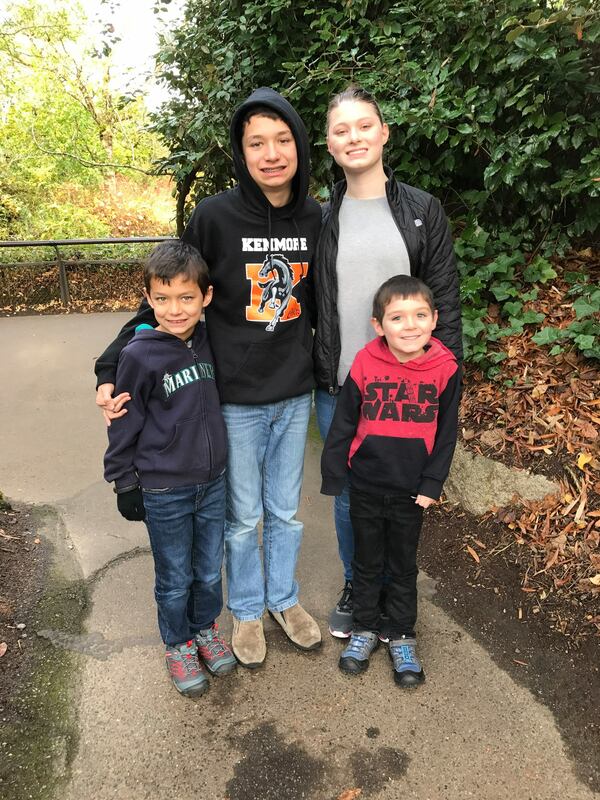 This entry was posted on Tuesday, November 13th, 2018 at 12:56 am	and is filed under Children, Life in the Pacific Northwest, Vacation Tales.